Mitt Romney sunk his 2012 presidential campaign by deriding the 47% of Americans who pay no income taxes. 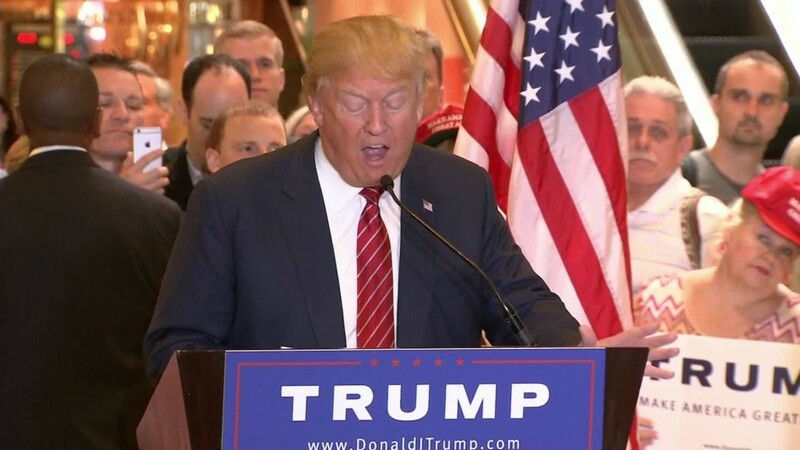 Donald Trump is hoping to win the 2016 Republican nomination by increasing that figure. The Republican presidential candidate said nearly 50% of Americans would pay no income taxes under the tax proposal he unveiled Monday. He would create a new 0% tax rate and expand the income bracket that falls into it to $25,000 for singles and $50,000 for married couples. Trump's proposal says it eliminates tax liability for more than 73 million households and takes nearly 50% of current filers off the income tax rolls entirely. "If you are single and earn less than $25,000, or married and jointly earn less than $50,000, you will not owe any income tax," Trump's proposal states. "That removes nearly 75 million households -- over 50% -- from the income tax rolls." It's not clear, however, where the candidate is getting his figures on the number of people who don't pay income tax. According to the Tax Policy Center, considered the authority on this matter, just over 45% of taxpayers, or about 76.5 million households, currently have no tax liability. How many Americans pay income taxes is a very touchy subject. In 2012, several Republican candidates seized upon the issue, demanding that more people pay their "fair share." A hidden video caught Romney telling supporters at a private fundraiser that he wouldn't focus on voters who are "dependent on government, who believe that, that they are victims, who believe that government has the responsibility to care for them. Who believe that they are entitled to health care, to food, to housing." The reason most of these Americans don't pay taxes is because they receive credits, including those that promote work such as the Earned Income Tax Credit, said Roberton Williams, senior fellow at Tax Policy Center. Two-thirds still pay payroll taxes to fund Social Security and Medicare. Other non-payers are retirees or those with very low incomes. "It's not that they are deadbeats," Williams said. "They make little enough income that their tax bill is zeroed out by various credits."